Located 170 km west of Riyadh City on the Riyadh-Makkah Highway, the sprawling 70,000-sq-m mall will be the first stop point for travellers on Makkah Highway, said a statement from Sico. It was inaugurated by Musaed Al Salem, the governor of Al Quwaieyah Province, in the presence of senior officials including Sico chairman and managing director Fahad Alshathri, Panda Retail Company CEO Dr Bandar Talaat Hamooh and also Redtag representatives Fahimul Islam and Mohammad Anas Abbasi along with a number of government officials and the prominent figures from the Province. Built at an investment of SR75 million ($20 million), the Quwaieyah Mall has been designed using state-of-the-art retail space concepts for ease of shopping and display and offers a strategic mix of retail, F&B (food and beverages) and entertainment options. The retail destination boasts a gross leasable area (GLA) of around 25,000 sq m, of which 65 per cent has been reserved for retail units, 20 per cent for entertainment and 15 per cent for food and beverage (F&B) outlets, said the statement from Sico. It will also host the first cinema theatre in Al Quwaieyah City, Sparky’s entertainment zone by AlHokair Group and will have an outdoor parking space for nearly 800 vehicles. Upon completion of Phase Three, the mall will include a four-star hotel, in addition to a 'bazaar' that will organise about 40 exhibitions to promote local entrepreneurs. Speaking at the launch, Alshathri said: "We are delighted to open our ninth mall in Saudi Arabia. Visitors and shoppers will be greeted with an excellent mix of retail, entertainment and leisure facilities." "Al Quwaieyah Mall is a fantastic destination for retailers seeking to build and further expand their brand in the Riyadh Region," he stated. "This exciting new prestigious business, retail and leisure development in Al Quwayiyah will offer business tenants a reputable business address, hotel guests an upmarket location and shoppers a unique, exclusive retail, entertainment and leisure experience," he added. According to him, the Quwaieyah Mall will generate 450 job opportunities for Saudi men and women, as the booming retail sector in the kingdom is one of the principal beneficiaries of the diversification drive under the Vision 2030 programme. 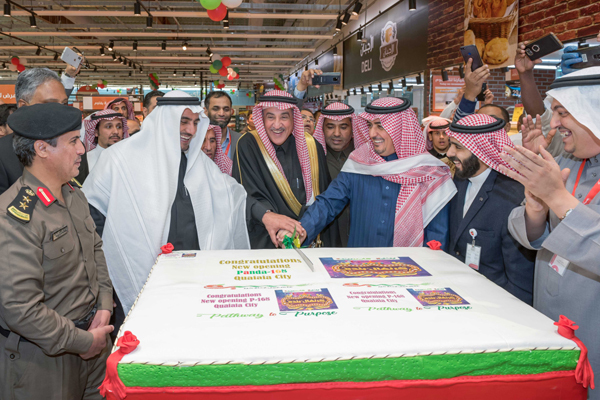 The opening of the Quwaieyah Mall is part of Sico's expansion strategy which aims to increase its mall numbers to 13 by 2025 across Saudi Arabia, said Alshathri. "We are currently developing five new shopping malls in the country that range in size from 30,000 sq m to 100,000 sqm. Our GLA will double to 234,000 sq m once these malls are completed, reinforcing our position as one of the leading mall developer and operator in the Kingdom," asserted Alshathri.